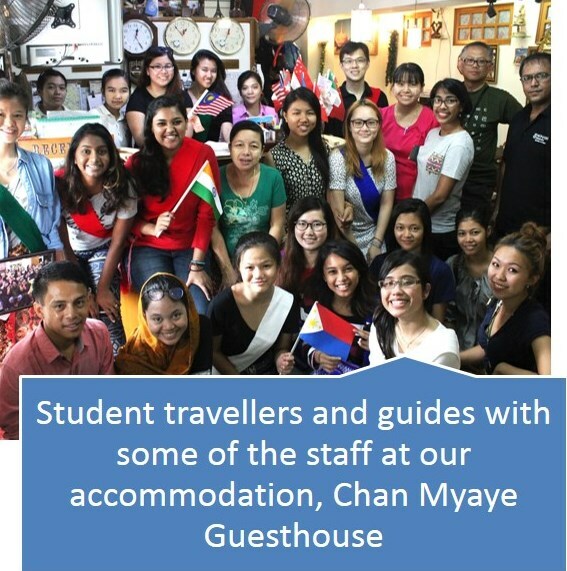 On the 27th of June, 2015, 16 students and alumni, one chaperone, and three members of staff from the School of Arts and Social Sciences, Monash University Malaysia, embarked on an 11 day study trip to Myanmar’s largest city, Yangon. This was the 11th installment of the “In Search of…” series, and its first visit to Myanmar. We were accompanied by four student guides and their teacher from the Higher Education Centre in Mandalay. 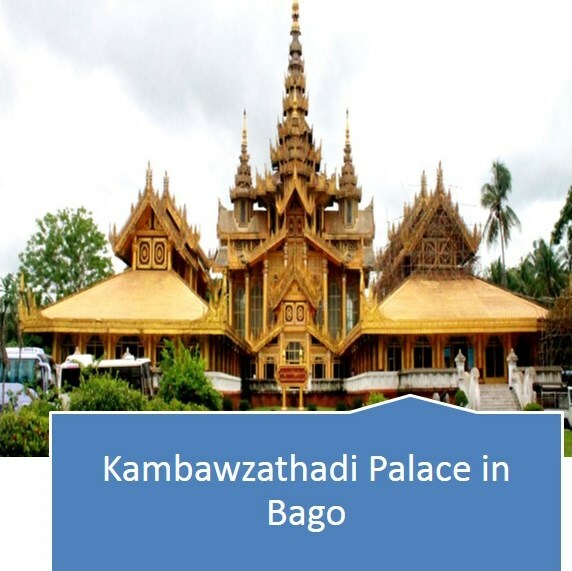 “In Search of Yangon’s” first major undertaking was a day trip to the city of Bago, capital of the Bago region two hours from Yangon. Here, there was a cultural and historical focus, as we visited Buddhist pagodas where we witnessed religious rituals by devotees and monks receiving donations of food, the second largest reclining buddha in the world, and a reconstruction of a 16th century Burmese palace. On the way back from Bago, we briefly stopped at the Taukkyan War Memorial, commemorating Commonwealth military deaths in Myanmar during World War II. 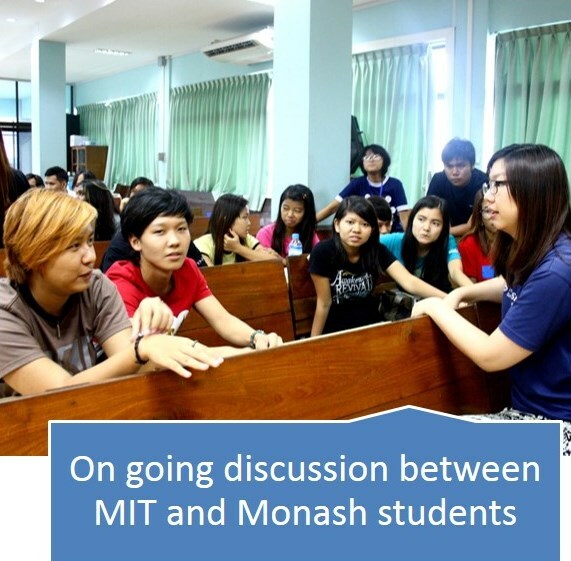 Returning to Yangon, we had the opportunity to engage in dialogue with our peers in the form of liberal arts students at the Myanmar Institute of Theology. Here, a short film festival, Malaysian Screensho(r)ts, showcased aspects of Malaysian culture to Myanmarese students. We were able to discuss - and laugh over - the differences and similarities between Malaysian and Myanmarese culture. That evening we met with The Rebel Riot, a punk band seeking to help the underprivileged through their work with Food Not Bombs, an international organisation which donates food to the poor and homeless. We followed The Rebel Riot and volunteers of the Food Not Bombs Myanmar chapter on their weekly donation runs, distributing water and food to the needy in an eye-opening and humbling experience. The next day, we met with World Wildlife Fund Myanmar, who showed us how they work with governments and corporations for environmental betterment. We also visited Generation Wave, a pro-democracy youth movement founded on the heels of the 2007 Saffron Revolution, who seek to improve Myanmar’s civil and political liberties. In the evening, we visited the Pansodan Gallery, learning about Myanmar’s growing arts scene. 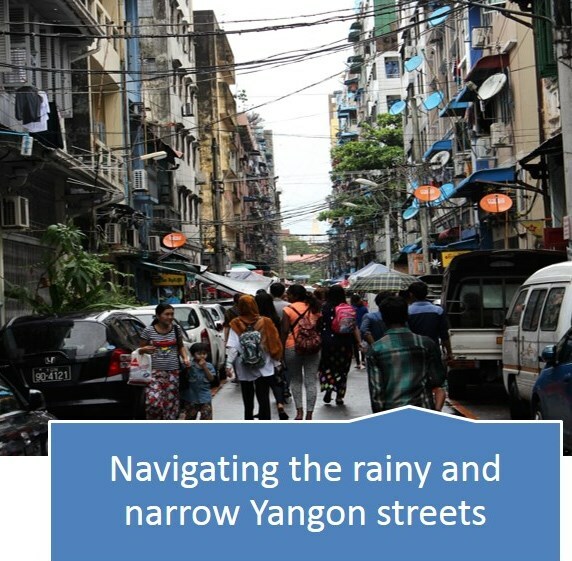 Travelers also experienced a heritage walk led by members of the Yangon Heritage Trust, learning about the efforts to preserve Yangon’s historically significant buildings in the face of rapid modernisation. We also spoke to Ms. Cheery Zahau, a member of an ethnic political party who explained the challenges of being female in a male-majority political scene and her efforts in bringing about meaningful constitutional change and better representation for ethnic minorities. The final two formal sessions were with Smile Education and Development Foundation, who work particularly with young people and women to create awareness about the religious situation in Myanmar, and Pyidaungsu Institute, who provide technical and administrative assistance in facilitating the peace process in Myanmar among armed groups and the government. We also seized the opportunity to explore Yangon further outside of planned sessions by watching a local film in the cinema, experiencing palm reading, riding the Yangon Circular Train, visiting the Bogyoke Aung San Market, and organising a bicycle trip to a nearby township, Dala. Our time in the city taught us so much the country and its people, and this study trip truly gave us a holistic view of Myanmar for those of us who had never been in the country before. Our involvement in learning about Yangon and Myanmar in general led to a deeply emotional parting with our guides and the city itself.